SoFA Design Institute welcomes Leah Perez, fashion chair at Shenkar- the globally ranked design school. 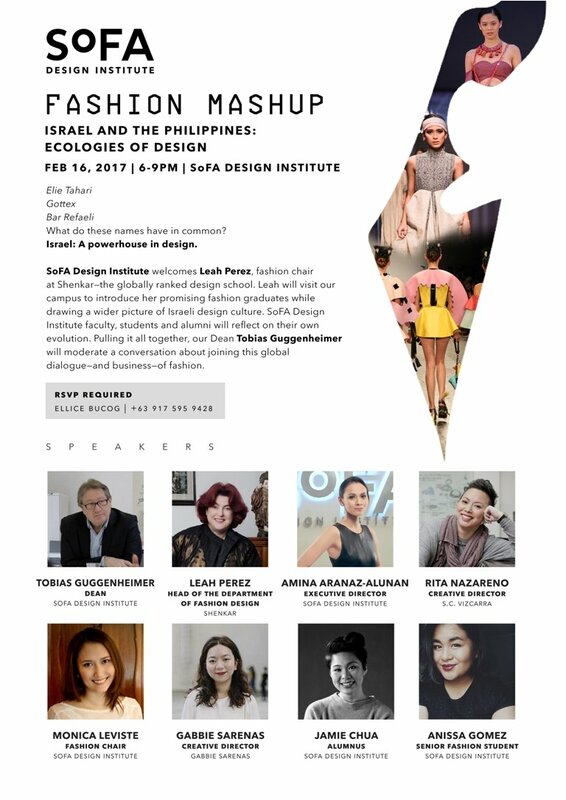 Leah will visit our campus to introduce her promising fashion graduates while drawing a wider picture of Israeli design culture. SoFA Design Institute faculty, students and alumni will reflect on their own evolution. Pulling it all together, our Dean Tobias Guggenheimer will moderate a conversation about joining this global dialogue- and business- of fashion.